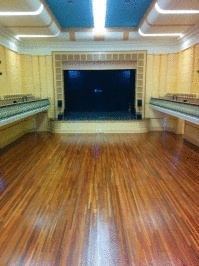 Collingwood Town Hall- oiled with Kunos natural oil sealer, no sanding back required and minimum maintenance! Bahai Centre of Learning, Hobart - Concrete oiled with Linus and Kunos. 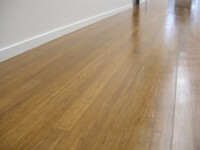 Jarrah timber floors with Kunos. At the Bahai centre of learning in Hobart, 850 sq. mt of concrete was treated with Linus and Kunos Nat. Oil sealer. 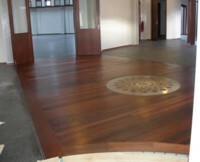 The various Jarrah timber flooring throught the centre was also treated with the Kunos clear to highlight the timbers natural beuty. 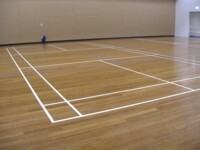 Basket Ball Court - Before lines. 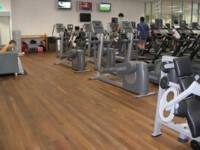 Creating a healthy living environment. Tas Oak flooring sanded and oiled with Kunos nat. oil sealer #244. Client's comment - It was a real pleasure having Robert work on our floors. 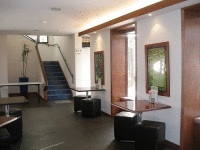 We would love to have you both come and visit us once our renovations are finished and to see your beautiful. Concrete in a Restaurant - treated with Linus priming oil and two coats of Kunos. 2 year old concrete floor treated with Linus priming oil and 2 coats of Kunos; Note: ply doors and window frames are treated with Kaldet Rosewood. 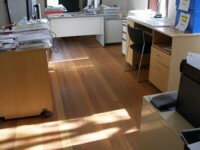 Hardwood in an Office - Sanded then oiled with Ardvos Universal Wood Oil #266. Sanded then oiled with Ardvos Universal Wood Oil #266. High traffic public area -The Natural timber oil is ideal for high traffic areas. 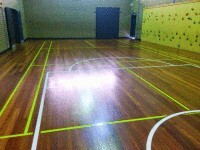 Spotted Gum Gym Floor - Timber treated with 3 coats of Ardvos Wood oil. Rudof Steiner Rejuvenation - Did not require re-sanding. 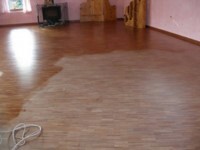 Rudof Steiner school kindergarten rejuvenation of floors does not require re sanding. 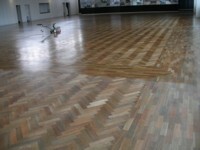 This floor was cleaned with a maroon pad prior to re oiling. Depending on wear and tear, a wash with the Latis intensive cleaner is generally sufficient prior to oiling. School Hall - Before and After. After- Rejuvenated with a maroon pad and oil. Warehouse - Before (glued tiles stuck directly on timber).